The Unlikely Hero: Could Belugas Save the Great Lakes? When we think of the Great Lakes, there's no shortage of symbolic visuals that come to mind. There's yellow perch and bass swimming amongst the waves. There are the beautiful skylines of Chicago and Toronto. And there are the majestic landscapes of Pictured Rocks in Lake Superior and the Niagara Falls. There are miles and miles of ice from this winter's Polar Vortex. And of course, there are belugas swimming majestically along. Did any of those visuals surprise you? Was it the belugas? Believe it or not, belugas are not only part of our Great Lakes system, but they might just help save our Great Lakes. Last month, I traveled to spend time with colleagues and officials from our northern neighbors in Quebec, Canada who shared the same passion we have at Shedd: the health and conservation of the iconic beluga species. That trip to the Aquarium du Quebec in Québec City provided the best sort of souvenir that I could bring back to my colleagues and conservationists at Shedd - an official partnership with the signing of a memorandum of understanding (MOU) with Group for Research and Education on Marine Mammals (GREMM). GREMM is a Canadian non-profit organization dedicated to the scientific research of beluga whales and the health and survival of the belugas in the St. Lawrence Seaway, an important part of the Great Lakes ecosystem. There are less than 900 beluga whales living in the St. Lawrence River near the mouth of the Saguenay River - categorizing the population as Near Threatened by the International Union for Conservation of Nature. Since the early 2000s, tremendous pressures from numerous environmental and anthropogenic stresses, such as polluting, have caused this group of belugas to dwindle steadily, making the need for continued study critical. 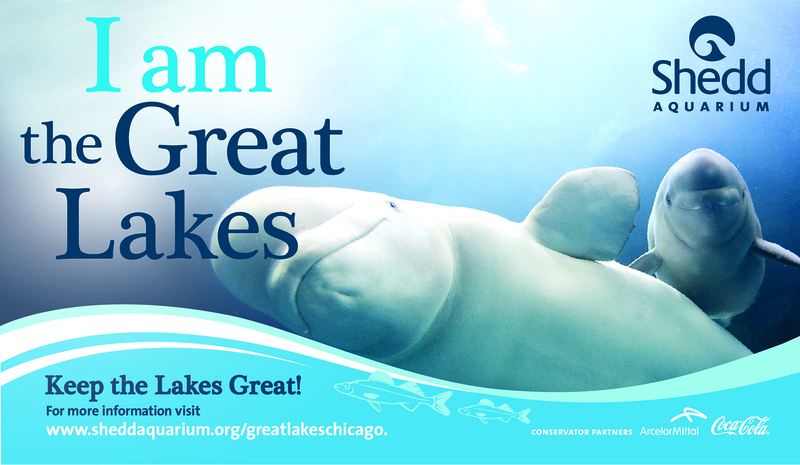 While surprising to some, but not to us at Shedd and our partners at GREMM, belugas are an iconic species in the Great Lakes. Their health is like a needle on a scale that demonstrates what we do to the Great Lakes matters. Canada is miles away from Chicago, yet we are connected by shared waterways. Wherever you might live in the Great Lakes basin, your lake has a direct impact on the health and survival of the beloved belugas in the St. Lawrence. Together, we're building the road to recovery for these belugas. Project Beluga studies the St. Lawrence belugas' behavioral ecology, habitat use, genetics, pathology and contaminant loads. This scientific data and insight builds the basis of key conservation actions that will advance the recovery of the population as well as protect our lakes. As our partner Robert Michaud, president and scientific director of GREMM, explained, it has been scientific study and knowledge gathered since the 1980s that has led to the realization of our human impact and also establishing species-saving conservation action. As I've written before, collaborative relationships fuel the actions needed to help protect wildlife, including these iconic marine mammals, and the waters in which they live. We are only at the beginning of an exciting partnership with our Canadian colleagues. You can follow updates from our ongoing research with GREMM and understand what you can do to help protect our connected waterways at www.sheddaquarium.org. Now, let's think of those Great Lakes visuals again. Do you see the belugas now? If you can, then you can see their power and importance. They are the Great Lakes as much as we are and they're ready to save and be saved.